Okay absolutely stunning XD, beyond my expectations! Great job hayley! A very moving performance and all credit to Hayley for taking the time out to attend and support this memorial concert. Pie Jesu is one of those songs that I don't much care for UNLESS Hayley is singing it! She brings something special to it and, I agree with you Richard, last night's performance was awesome. The best ever by far. I found the whole thing very moving - I was close to tears just reading all the tweets Hayley has been getting since her performance and the video finished me off. I suspect Hayley found it quite emotional too judging by the length of time it took her to force a little smile at the end. Watching the video again, Hayley sounded very emotional, particularly during the first few seconds. This made her performance all the more memorable and poignant, and it fitted the occasion perfectly, so I'm not surprised somebody tweeted that Hayley was the best singer in the concert. I agree Hayley looked stunning, and the choice of dress was perfect for such an event. Thanks Joe for your Video and to Libby for posting the link to the superb quality you-tube recording. I can't wait for Hayley to come home so we can see her again in the UK, but I am also pleased that my USA friends have had the opportunity to see Hayley performing on national television. Simba. There are plenty of Hayley fans who comment on her videos. They just have different screen names on YouTube than they have here. Oh there's much more to tell. Watch this space. Thanks to our US members for bringing the pictures and reports so far. good to see, so short after Hayley's appearance, her performance on YT. I have uploaded our very own version of Hayley's performance to our Youtube channel, having paid particular attention to the audio quality. The picture quality cannot of course compete with the excellent HD version previously posted on YT, well done to that uploader, but I think the audio can. Pie Jesu click for video. Many thanks to TimJ for going to all that trouble in order to get his recording to me in good time! Hi Bill, I hope you don't mind, but I have quoted you in the HWI news report about this performance as I think your words place Hayley's performance very much in its proper context. Thank you! It would be an honor, Dave. Yes, I noticed that, too, and mentioned that in one of my posts. BTW, besides Gabriel's Oboe, I heard the tune from Non C'e Piu, one of Celtic Woman's new songs from Songs from the Heart. It's one of my favorites from that DVD. Special thank you's to members TimJ and amptique! 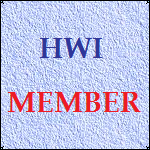 Tim J provided some great video for HWI's YouTube and website. Amptique (Bill R), that was a great description of how Hayley's singing fit perfectly into the evening. A well-deserved inclusion to the HWI site. I’ve been pretty quiet on thee forums of late, mostly because there really wasn’t much to talk abut Hayley-wise on this side of the Atlantic. Oh, and there are these things like trials and hearings, too. For my vacation this year I originally had planned to spend the week before Memorial Day in Washington DC checking out the monuments, museums, etc, before moving on to southern VA. However, once I heard that Hayley would be part of the National Memorial Day Concert, which I never attended in person, I decided to stick around for the concert. It would be my first time seeing Hayley since her time with Celtic Woman in 2007. Hayley said she didn’t have a lot of time, but said hello, signed a few items, and posed for pictures with both Tim and myself. Tim gave her some Hershey’s chocolate he had bought, though I doubt she was going to be eating it before singing. I asked her if she would be back in the US this fall when Paradiso hits, however, she could only say maybe before saying she really needed to get going. Tim and I spent the rest of the afternoon looking at a couple of the museums up and down the mall and talking about this and that, then returned for the dress rehearsal at 5. The gates opened at 5 but the actual rehearsal wasn’t till 8. I won’t run through the whole dress rehearsal, since that would make the review far too long, but I will mention that we sat not 20 feet away from where Chris Allen performed. I got a picture or two of him working the crowd and giving some serving Marines deserved handshakes. He even stopped to sign a young boy’s proffered CD before being hustled away. B.B. King wasn’t there, so they just ran through his music with a click track, nor were the Joint Chiefs of Staff, but they never are till the actual concert. Afterward we looked about near the tents by the stage. Pia Toscano of American Idol (more on her later) was giving an interview and two teen girls were pressing the Capitol Police (who were out in force) to be allowed to meet her, but the police were wisely having none of it. I decided discretion was the better part of valor and we left. Sunday dawned hot. I didn’t try to do too much else after Mass and breakfast other than getting a second blanket to sit on and packing my knapsack with food and water. At about 3 I took the Metro in, staked out the gates into the audience area, and waited for Tim, aiming to get the other side of the stage this time. We dug in and waited, while the Capitol lawn and steps, all the way up to the balcony, filled with people. Finally it was time, and the US Army Herald Trumpets sounded the opening fanfare. After a few announcements, the Services Color Guard marched out and posted Old Glory and the flags of all the armed forces. Dressed all in red, Pia Toscano, an American Idol finalist every bit as good as Kelly Clarkson, the first winner, mounted the balcony of the Capitol and began “The Star-Spangled Banner” filling the approaching evening with the sound of her voice. The audience applauded and the hosts, Joe Mantegna and Gary Sinise, both actors with military backgrounds who you might know from “Criminal Minds” and “CSI: New York” respectively came out to the orchestra’s playing “This is My Country.” After introductions they made reference to the 10th anniversary of 9/11 and the fact that bin Laden was now gone (huzzah!) thanks to SEAL Team Six (double huzzah!) and then mentioned one song and the man who sang it in the wake of that dreadful day. That was of course “God Bless America” as sung by policeman-turned-tenor Daniel Rodriguez, who appeared at the top of the hill near where other artists would later perform as the chorus assembled at the front of the stage. He recited the familiar opening (“As the storm clouds gather far across the sea…”) then walked toward the stage as the chorus began Irving Berlin’s immortal refrain. As he reached the stage and took up the refrain he shouted for everyone to stand and join in, which everyone did, lustily. Things then took a serious turn, with Jason Ritter and Forest Whitaker presenting the stories of two wounded veterans, a captain and a specialist, over somber music from the orchestra. The captain’s story was of being one of the first IED victims, losing a leg and having the other leg badly mangled, but doing his best to keep going. The specialist’s story was even more heartbreaking, being caught in an explosion that tumbled a 20-ton truck and trailer over 3 times and left him with TBI (traumatic brain injury). He survived the explosion, but let’s just say he finds it very hard surviving day to day. Actress Dianne Wiest then told the story of a mother who watched her son go off to the Iraq war, and one day saw the van approach bearing two officers bearing the worst news any parent can hear. Now it was finally Hayley’s turn to take the stage, in angelic white dress covered with sparkling crystals, and sing the immortal words of the Requiem Mass, which translate literally as “Holy Jesus, who taketh away the sins of the world, grant to them rest, Lamb of God, who taketh away the sins of the world, grant to them eternal rest.” You could see in her face that she was moved deeply by what she had heard, maybe even was trying not to cry. As the last notes of her lovely voice faded, the silence was broken one last time by a single bugler blowing “Taps,” the bugle call that in the United States military signals the end of the day, and, when necessary, the end of life. As the last notes faded in the hot evening air, he saluted the flag and retired. However, Memorial Day is as much for the living as for the fallen, and the orchestra and chorus swept into the martial “Armed Forces Medley,” performing all five songs of the armed forces as the flag of each was presented and the chief of staff of that service entered. Everyone stood and sang along, singing of the Coast Guard’s eternal readiness, the Air Force’s flight into the wild blue yonder, the Navy weighing anchor, the Marines defending the nation on land, sea and air, and the Army’s rolling along. Finally Admiral Mike Mullen, Chairman of the Joint Chiefs, entered and gave a speech thanking all veterans living and fallen for their service. For the finale Pia Toscano sing “I Will Stand By You” and all performers sang “America the Beautiful” led by Yolanda Adams. Most folks got up to go at that point. Blankets were folded and baskets packed up. Tim and I looked about to see what we could do about further pictures and briefly got separated. The next few minutes are kind of a blur of stumbling around in the dark, but the next thing I knew I was looking up… and up at the towering, white-clad figure of Admiral Mullen. I gasped, being not five feet away from the highest ranking military officer of them all. However, he did not register any displeasure and simply went on to talk to someone else. I snapped a picture, thinking no one would believe me without one and finally found Tim. Eventually we found Hayley, who, together with manager Brian Lane, was packing up to go. She introduced us as her “number one American fans” and, although pressed for time, again posed for pictures. I asked her since she had done several Remembrance events in the UK what she thought of the American way of doing this sort of thing. She responded that it was different and bigger, but very emotional and very beautiful. She then tried to get going, but a Capitol Police Officer approached. Far from there being a security issue, though, he wanted to shoot a picture with her. Although I could see she was getting a little flustered, she shot the picture and then got on her way. By all rights I should have too at that point, but then I realized who I was standing in the midst of. I snapped a picture of Joe Mantegna as he signed autographs, posed with Gary Sinise, and had Daniel Rodriguez sign one of his CDs and chatted with him a bit about our mutual friend Holly Holyoake. I also snapped a picture of A.J. Cooke and Dianne Wiest as they talked. Tim and I finally went our separate ways after we found our way out, since we were taking different trains. Thanks to all the performers for a great evening and especially Hayley. We Americans look forward to seeing you again, we hope! 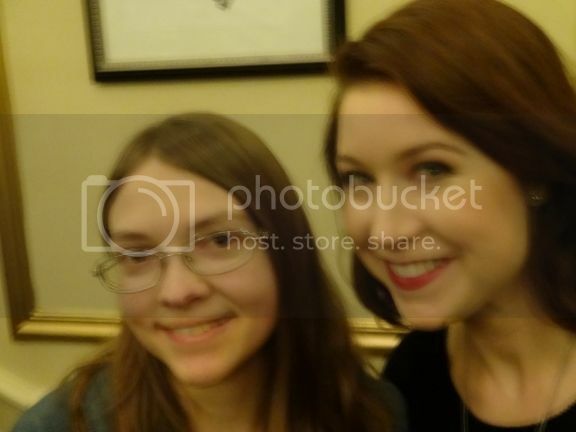 There are of course many more, but that's all there's time to upload to photobucket right now. I leave here a public link to my fb album with the rest.